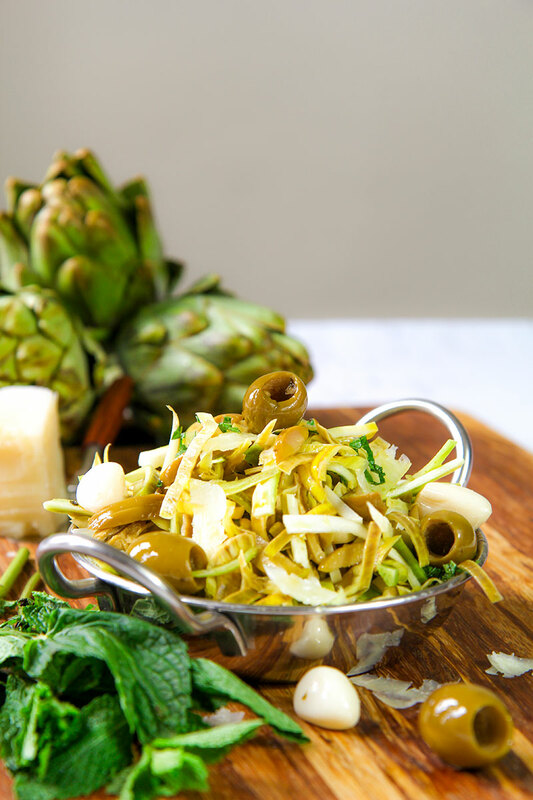 Artichokes salad is one of my favorite quick and healthy recipes. 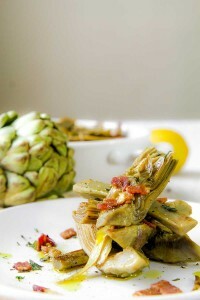 I love artichokes, both raw and cooked! Sweet garlic is the secret ingredient of this easy recipe. I suggest don’t use normal garlic, because its flavor is too strong and it will kill the delicate taste of this recipe. First, clean the artichokes. Squeeze into a bowl the juice of 3 lemon. Add 3 cups of cold water into the same bowl. Now, discard the most leathery artichokes leaves, and peel the stems. Slice the stems in quarters and the artichokes in eight parts. Pour the artichokes into the bowl with water and lemon juice. Slice finely half of the sweet garlic. Don’t use “normal” garlic, because the flavor is too strong! 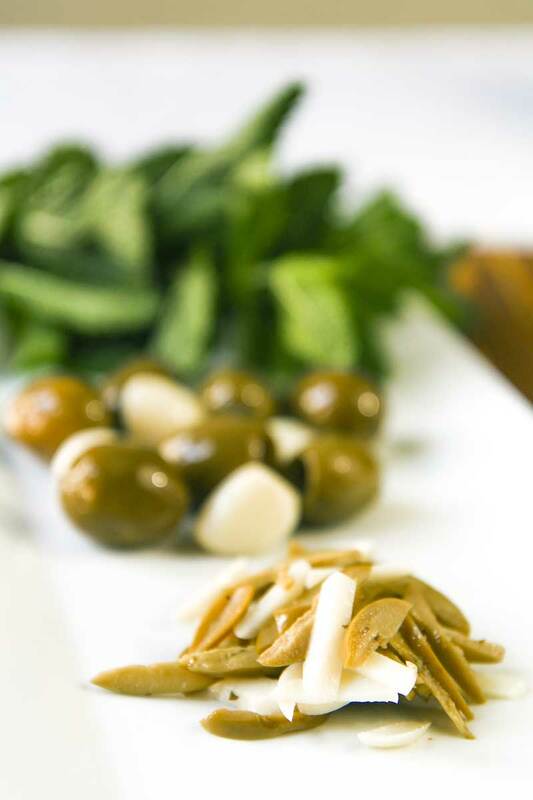 Slice half of olives and all the fresh mint as well. Now, raise the artichokes from the water, and slice them finely. Finally, combine all the ingredients into a bowl, and season with olive oil, black pepper, and salt as needed. Serve as soon as possible! This tasty salad is great all year long. 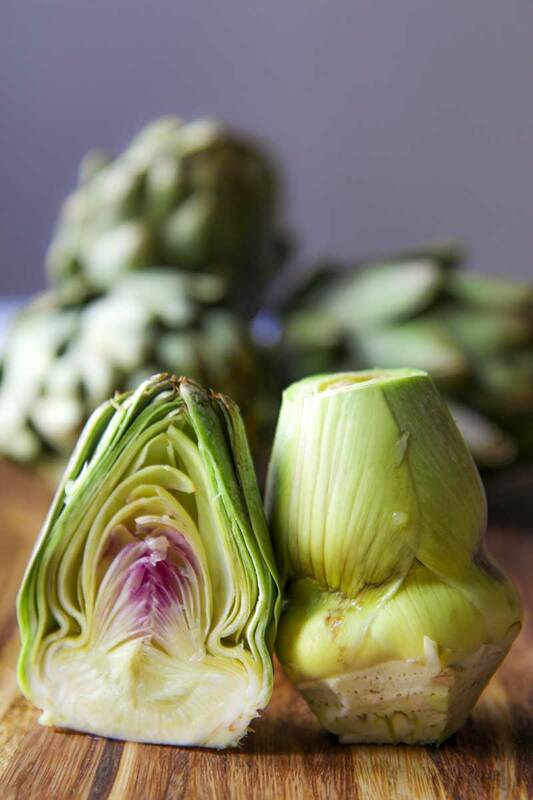 Unfortunately, the artichokes season is too short! 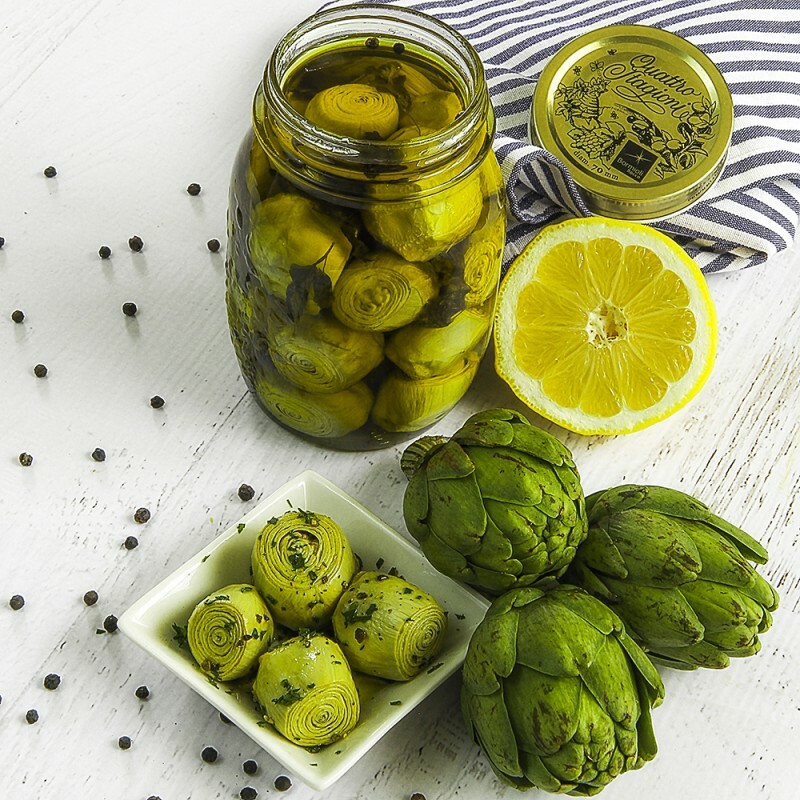 The best way to prepare the artichokes salad whenever you want, follow this recipe to preserve artichokes, clicking here! First, clean the artichchoke. Squeeze into a bowl the juice of 3 lemon. Add 3 cups of cold water into the same bowl. Now, discard the most leathery artichokes leaves, and peel the stems. Slice the stems in quarters and the artichokes in eight parts. Pour the artichokes into the bowl with water and lemon juice.